Australia’s No 1 Everyday Layer Poultry Feed. 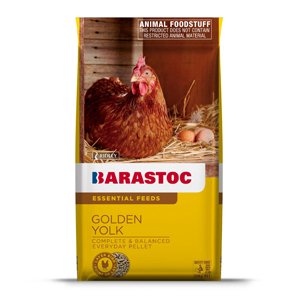 Golden Yolk is a nutritious, balanced and complete pelleted feed specifically formulated for all breeds of laying birds in a home flock. What will it provide my chicken? We understand that each egg a hen lays depletes her body of protein, energy, calcium and other nutrients. A hen therefore requires a nutritious feed to remain in peak condition and to produce eggs day-in and day-out for her laying lifetime. 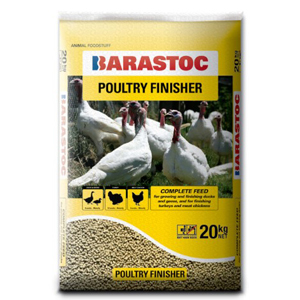 Nutritionally balanced layer feed to support hen health and egg production from point of lay onwards. 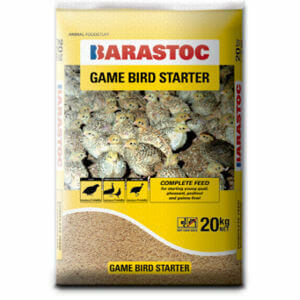 Fortified with bio-available calcium and phosphorus to provide the building blocks necessary for strong eggshells. 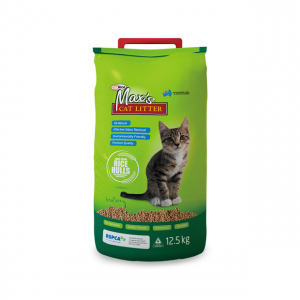 Finely milled ingredients are pressed into a pellet for ease of feeding and to decrease wastage caused by selective feeding. 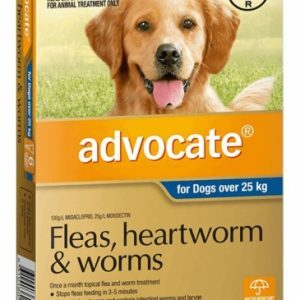 INGREDIENTS SELECTED FROM THE FOLLOWING: Cereal Grains and By-products, Legumes and their By-products, Animal and Vegetable Protein Meals, Fats and Oils, Calcium Carbonate, Di-Calcium Phosphate, Ridley Layer Vitamin and Mineral Premix, Essential Amino Acids & Enzymes.